We believe the remarkable movement of God among Persian peoples comes with a responsibility. They must, in turn, organize their efforts to fulfill the demands of the Great Commission, especially in the unreached Muslim world. Healthy churches are the key to advancing the gospel throughout the Farsi-speaking world. Growing healthy churches begins with proper leadership development and that is where a theological training program is critical. As part of our Global Theological Initiative, the Persian Leadership Development seeks to provide theological education to Persian church leaders in Farsi, the Persian mother tongue. This initiative is being led by Coordinator Kambiz Saghaey. Mr. Saghaey is a current master's student at SEBTS from the Middle East. He and his wife have served in several churches in different areas of the world. "I believe our Persian Leadership Development Initiative has the potential to make an eternal impact on Farsi speaking people groups unlike anything I have seen in my 40 plus years of ministry," said President Danny Akin. 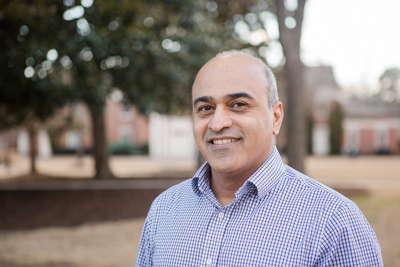 Kambiz Saghaey, a Persian church leader and SEBTS master's degree student, is leading the program as coordinator for Persian leadership development. Originally from the Middle East, Saghaey and his wife served in several churches and faced persecution for their faith. Now in the United States, the couple desires to continue to help the Persian church grow stronger and deeper. Saghaey's role is to develop the initiative to train Farsi speakers who can then use the theological knowledge they gain to enrich Persian churches. With his firsthand experience and knowledge of the Persian culture, Saghaey can provide Persian believers with programs that answer their needs. Saghaey began taking online SEBTS classes while in the Middle East and continued later in Central Asia after fleeing persecution in his country. He dreamed of a program that would help more Persian church leaders receive sound, readily accessible theological training. "For many years when I was pastoring I was praying for God to please bring someone to SEBTS to make a program in Farsi. The English was very difficult for me," Saghaey recounted. "Many pastors came to my mind, but I didn't know that God was going to answer my prayer with me." Why is it necessary/ how important is it? This new initiative will provide theological education to Farsi-speaking church leaders. Southeastern's Global Theological Initiatives is partnering with a ministry organization that is offering free online training in Farsi beginning in 2017. Ongoing strategy will include the development and offering of certificate and bachelors level training. This bachelors degree will be will be the first ever of its kind offered by an accredited institution in the world. The later phases of the initiative will hopefully include masters level training in Farsi as well.